Gout and Alcohol: Gouty Drinks Truth At Last! Gout and Alcohol is a section of GoutPal that deals with all aspects of alcohol and gouty arthritis. Personally, I believe there is too much thought given to alcohol. At the expense of more important issues. Because alcohol is a small part of gout diet. Which, in turn, is a small part of gout treatment. So, unless you have an effective gout treatment plan, spending time worrying about gout and alcohol consumption is pointless. But if you still want the facts, you will find them here. More importantly, you will find a guide to see if you need to worry about how alcohol affects your gout. Including the best way to manage alcohol intake for best gout control. Who wants to know about Gout and Alcohol? You want to learn as much as possible about gout. You want to know how alcohol will affect your control plans for gout pain and for uric acid safety. So focus mainly on alcohol-related articles marked for Dieters. You think changing your alcohol intake is more important than personal gout management plans. So focus on alcohol-related articles marked for Foodies. I realize my types of gout sufferer are arbitrary. Because individuals are a unique mix of different types that can change as you learn to control gout in different ways. But they help you find information that is most relevant to you at different times. So stay focused and remember this is general information. You can always get personal help in my gout forum to explain how the general information applies to you. Because there is so much interest, I have many pages of facts and explanations. Together with answers to frequent gout sufferer questions about alcohol. But remember you can always take the search shortcut to find what you need. Just type your question in the Google Gout box near the top of every page. What is the best alcohol to drink with gout? Explains common reasons why gout sufferers ask about best alcohol. Then helps you see which of those reasons are relevant to you. So you find the best alcohol to drink with your gout. Pending completion of this article, you can read Best Alcohol For Gout – What’s Yours? Gout and alcohol: What to drink? What to drink is an alternative view to the first question. So here I look at what goes wrong when gout sufferers ignore sound alcohol advice. 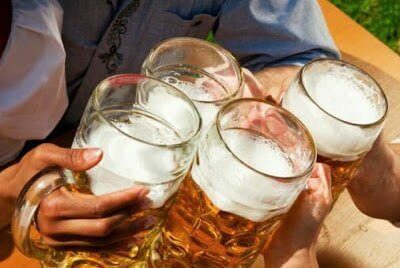 Alcohol and gout research summaries and reviews. Layman’s guides to relevant science about alcohol and gout. Gout & alcohol types compared. Including the influence of different purine levels in drinks. Also some effects of different types of alcoholic drink. Such as beer, wine, cider, tequila, etc. Gout-friendly Alcohol – Why do you need it? Tell me, “What alcohol can I drink with gout”? I am making this course available to the public after testing with volunteers. If you want to be involved in the pre-launch phase, ask in the gout forum. As you can see, your best gout and alcohol plan is to join the Gout & Alcohol Course. Then you will know if you need to take action and what action to take. So I recommend that you join me on that course now. But if you want a less formal approach, just ask for help in the gout forum.